Garmin announced the 2016 Aviation Pilot Training Catalog. This catalog provides information on Garmin aviation pilot training opportunities including a description of self-study materials, eLearning courses, and instructor-led courses offered for the GTN, G500/600, G1000, G2000, G3000, and G5000. The Garmin Aviation Training Department provides scenario-based courses that support the goals of the FAA/Industry Training Standards (FITS) program for technically advanced aircraft. Additionally, this catalog highlights new opportunities introduced in 2016 including new eLearning courses, regional and international training opportunities, and expanded supplemental training offerings. Training Objectives: Our goal is for you to be confident in the operation of your Garmin avionics, and integration of this equipment into your flight operations. 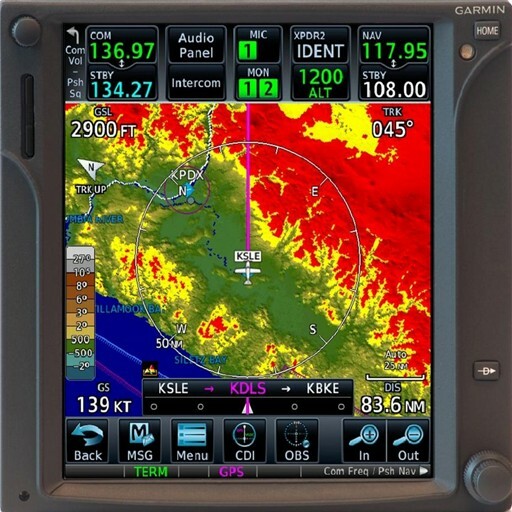 Garmin’s Pilot Guides, PC trainers, and eLearning courses provide foundational knowledge about your equipment. Our instructor-led classroom training builds on your knowledge and experience using scenario-based training and hands-on interaction with the equipment. These training opportunities will help you maximize the capabilities of your Garmin equipment and develop your method of integrating these avionics into flight planning and flying. Purchase and Registration Process: Garmin invites you to purchase a training class seat by visiting the training tab on Fly.Garmin.com. Then, select a class from the Live Classes Calendar to begin the enrollment process. For more information and details on making a reservation, please e-mail your inquiries to aviation.training@garmin.com or call 866-739-5687.